we have created a piece of art with graffiti of this real Kip caravan. 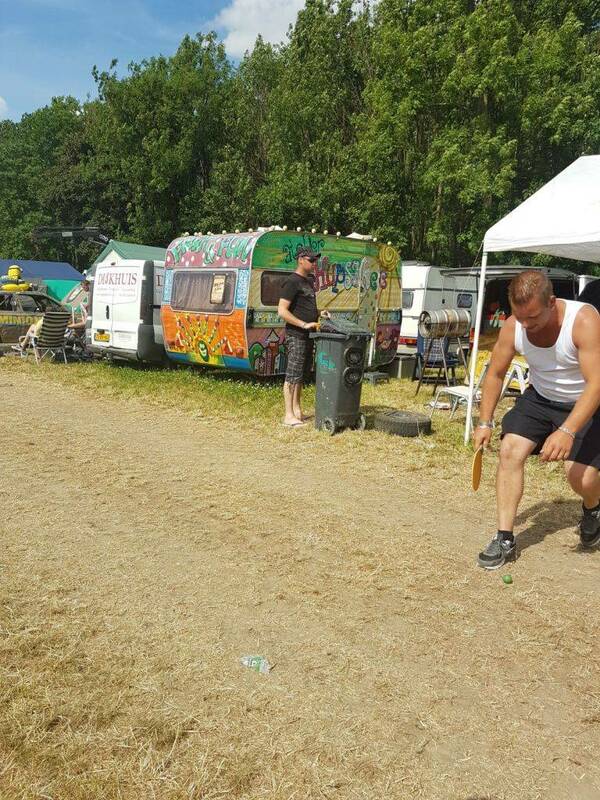 In the summer we do occasionally it on food festivals, but you can also just join camp. The caravan is meant to join in the Netherlands only on vacation because he is quite old and is not insured. The caravan has even the possibility of a slight (cross) motor to drive it. The back opens. 2 strapping brackets on the ground (see photo elsewhere). 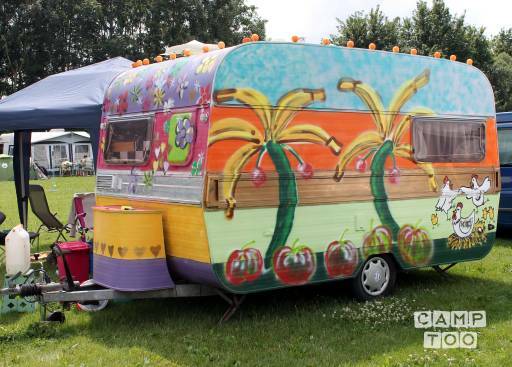 Since the caravan is quite old and not sure we want to only rent it for a holiday or festival in the Netherlands. You can pick up the caravan in Barneveld at Harm Jan.